The Sententia Gamification Certification for Talent Development Professionals establishes an internationally-accepted level of knowledge, education and experience in gamification by which professionals will be recognized within the L&D community. 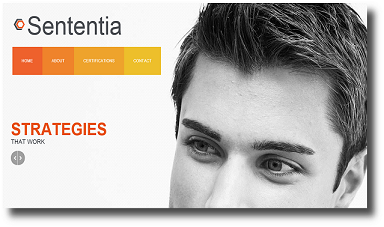 AUSTIN, Texas - Jan. 29, 2015 - PRLog -- Austin, TX – January 29, 2015 — Sententia, a global consortium of gamification professionals, and Monica Cornetti, rated as a #1 Gamification Guru in the world, and have launched a gamification certification program designed to educate and equip Talent Development Professionals in the use of gamification as an engagement strategy. The Certification is designed to establish an internationally-accepted level of knowledge, education and experience with gamification by which talent development leaders will be recognized within the learning and development community. The Certification comprises three levels that include training, research, case studies, assessments, and a comprehensive final design project. Additionally, the curriculum is backed by a body of knowledge collected from gamification and learning leaders around the globe, and provides a unique training program designed to make the business of learning better. The certification targets individuals who currently design or lead learning functions in organizations, or provide learning services to companies or corporate learning departments of colleges and universities. “For too long too many organizations have adopted a “hit and miss” strategy, rather than a planned, monitored, and integrated approach to identifying, engaging, leveraging, developing, and evaluating training programs – the Sententia certification program is going to change that,” asserted Cornetti. The Sententia accreditation process assures that students and craft professionals receive quality gamification training based on uniform standards and criteria. This process fosters international unity among the gamification industry while providing a defined aptitude path with industry-recognized credentials. As an early adopter of gamification, Cornetti and EntrepreNow! have been designing and delivering gamification programs for clients since 2008. Sententia is a global consortium of gamification professionals and establishes the benchmark for quality gamification training and assessments. By partnering with industry experts and gamification gurus, Sententia has developed a system for gamification accreditation for talent development professionals that is different from all other certification programs in the marketplace. Visit www.sententiagames.com for more information. A gamification speaker and designer, Monica Cornetti is rated as the #1 Gamification Guru in the World by UK-Based Leaderboarded. She is the Founder and CEO of EntrepreNow! an international training company. Monica hosts a weekly Gamification Talk Radio program, writes The Gamification Report blog, and is the author of the book Totally Awesome Training Activity Guide: Put Gamification to Work for You. Monica’s niche is gamification used within the corporate environment. Visit www.entreprenowonline.com/gamification/certification for more information.